At Studio N we deliver creative, simple lighting solutions to the interior, architecture and landscape sectors. And for one of our first posts we invite you to have some fun with light in a rather different way. 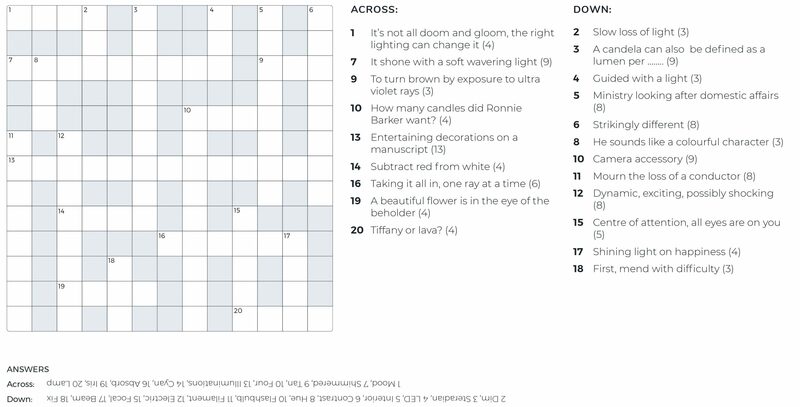 Will you find the right solutions in our light-related crossword? If word games are your thing and you’re clued-up about light, it should be simple.